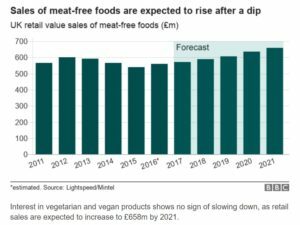 A recent BBC article 1 considered why veganism was on the rise. 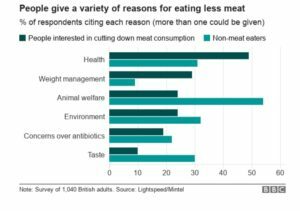 You might be interested in knowing the differences between reasons given for wanting to avoid eating meat by two groups: firstly, people who are already vegans and, secondly, people who are considering cutting out meat but who are not currently vegan. I have maintained for some time that there is a big difference between being vegan (or vegetarian, for that matter) and being a person who eats a WFPBD (wholefood plant-based, diet). The following results of a 2018 survey by Lightspeed/Mintel of 1,040 UK adults 2 , covered in the above-mentioned BBC article, seems to support this. The following is the chart I am talking about. 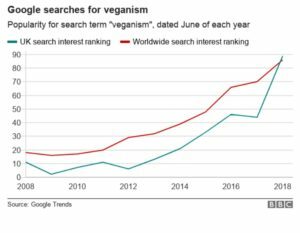 You’ll see that vegans are most concerned about animal welfare and the environment, with health in third position and other health concerns (antibiotics and weight management) below taste. On the other hand, those who are not vegans, but are who are thinking about it, put health first, weight management second, and the other health concern (antibiotics) above taste. Visit most vegan restaurants and you will find food and food preparation methods that a WFPB advocate would not even touch – food fried in oil, white bread/pasta/rice, salads drowned in olive oil, salt added to most recipes, sugar-laden desserts. This is one of the main reasons that I will not call myself a vegan. From the vegans I know, the vegan recipe websites and books I read, and the vegan restaurants I’ve visited, their diet is not optimally healthy and, in many cases, is actually not that much better than those stuffing the chicken and chips down their throats on a regular basis. The BBC article is, however, interesting in that it further suggests there is a wave of interest sweeping the general public towards more concern about the impact of diet on their health – something that seems so very, very obvious whenever you stop and think that we are literally what we eat – never mind the factual evidence that scientific research has shown for many decades, and conventional wisdom has known for centuries. I’m glad that I didn’t go vegan before I went WFPBased. Whilst I am cognisant (and supportive) of the animal welfare and environmental issues associated with veganism 5 , I consider that human health comes first. I believe this because of a very practical reason: once you start to eat a WFPB diet, you are already doing the best thing you can possibly do in order to solve all the other issues itemised above in the chart of reasons for not eating meat 2 – animal welfare, the environment, concern about antibiotics, weight management and, I guess arguably to a large extent, taste. Opting for a WFPB diet (especially if it’s the optimal no-SOS (no added salt, oil or sugar) diet) will not necessarily give you those amazing tastes you might have grown up with – bacon butties with white bread, butter and tomato ketchup, sticky barbecued chicken, Cornish dairy ice-cream, etc – but losing these is only something that we who have been brought up on them are likely to miss. A generation brought up on the healthiest diet on the planet (no-SOS WFPB) would not miss what they never ate. Addictive tastes of food are no different from addictions to anything else – tobacco, alcohol, drugs, gambling. If you’ve never had the addiction, you never miss it. And, once you have “kicked the habit”, the benefits are always greater than the deficits, in spite of the parrot on your shoulder telling you that you’re missing out! Ask any ex-smoker whether they really felt better when they were having to inhale their 20 or 30 a day. 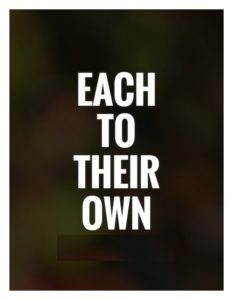 Ask any ex-alcoholic if they were really happier when they couldn’t get through more than a couple of hours without having to plan where the next fix was coming from. If the only reason you continue eating animal products is because of taste, then I can tell you that a no-SOS WFPB diet is really tasty and satisfying. Of course, you won’t believe it, but neither would a lot of vegans if they thought they had to give up their olive oil, fake ice-cream, fake sausages/burgers or white pasta. Do I miss some of the foods I was raised on? Yes, occasionally. But I also occasionally miss the relaxation you get from taking that first drag of a cigarette or slug of whisky when you feel stressed. The justification for missing something that a person knows was not good for them is that they would now know they were doing the right thing to stay healthy and live a long and productive life. If that’s not good enough justification for change, then I suspect a person won’t change. 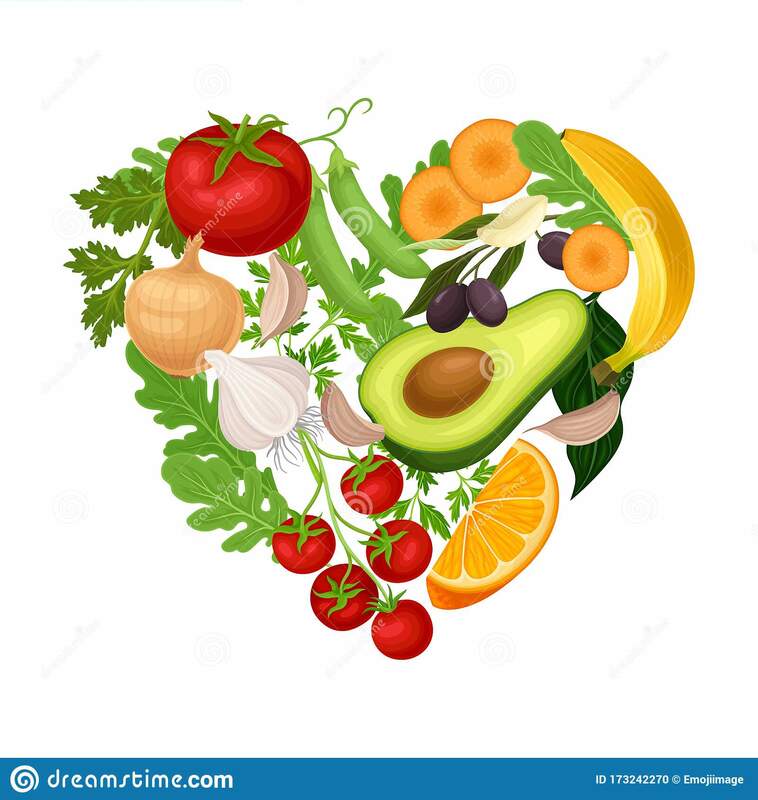 Posted on 18th June 2018 18th June 2018 By wholefoodplantbaseddietPosted in Weight Loss, Whole Food Plant-Based DietTagged Reasons for being vegan, Veganism is not necessarily healthy, WFPB healthier than vegan diet, which is better vegan or WFPB diet? Next Next post: Can ‘Culinary Medicine’ Solve the Health Crisis?